Strings are WAY TOO high! Often caused by an improperly carved or UNCARVED bridge. Bridges usually come as blanks and must be shaped to each instrument. When ordering replacement bridges I advocate purchasing an “adjustable bridge”. As the name implies, the bridge height is adjustable. Too much rosin on strings. Bassists should wipe their strings with a cloth after every rehearsal. This is a habit that young players especially need to develop. Don’t forget to wipe off the wood under the playing area. If the bass has been sitting in that storage room so long that the last time it was played there were only 7 Beethoven Symphonies, try this: Take a cloth and put a small amount of rubbing alcohol on it and wipe the strings with that. BE CAREFUL – do not let alcohol touch the wood as alcohol is great for removing the finish! Too much rosin on bow hair. Although bassists need that extra “grip” to get a nice tone, younger students often use too much rosin (I keep coming back to that too much rosin thing). How does one know that there is just enough on the string? After each “swipe” of the rosin cake try the bow on the string. I generally make 2 – 3 passes, one way, with the rosin. That’s it! To remove rosin from bow hair you can play the bow without rosining it, or: use a small comb and toothbrush to clean the hair. Something that I’ve been noticing more and more lately. Many lower priced basses have fingerboards that do not have enough curvature, this can cause the player to hit other strings when bowing. Cheap basses such as Englehardt have this problem. Basses that just plain ‘look’ awful. What student or child is going to want to play that thing that looks worse than a beat up floor when they can rent a brand new, shiny violin? Invest a few dollars in instruments polish or a no-wax furniture polish and shine ’em up. Also, use a furniture touch up crayon or even a marker to darken bare wood. This will help recruitment. The bow is full of violin rosin. 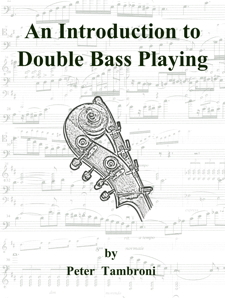 Although the violin, viola, and cello all have similar rosins, bass rosin is very different. Although the upper strings use a rosin that is quite brittle, bass rosin is very sticky (in warm weather it can ‘run’). The correct rosin will produce a better sound and make tone production easier. Try Pops, Carlsson, or Nyman. Get bass bags for those instruments, it will increase their life exponentially. Although a Cushy or Mooradian would be ideal, these are very expensive. A cheaper vinyl or canvas bag will prevent many scratches, just be sure to purchase the correct size!